The Community Engagement Strategy offers a new approach to engaging about Crown land in NSW. It ensures decisions about the Crown land you use and enjoy are made in an open and transparent way by setting out engagement requirements for certain dealings under the Crown Land Management Act 2016 (the CLM Act). It acknowledges that communities’ needs vary and a range of engagement approaches is required to ensure community views are understood before important decisions are made. The Community Engagement Strategy commenced on 1 July 2018. The department and non-council Crown land managers must comply with its requirements. The Strategy is supported by a guidance and resources document which assists with the determination of the engagement requirements and the selection of appropriate methods to reach communities that may be impacted by a proposal. The Community Engagement Strategy interactive online resource provides an outline of the strategy and is designed to assist Crown land managers in understanding its requirements. A PDF version Community Engagement Strategy resource ((PDF 7.4 MB)) is also available for download. 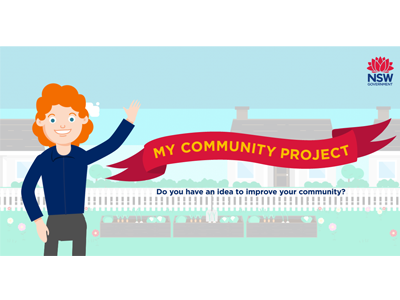 The draft Community Engagement Strategy and a draft guidance and resources document were on public exhibition for community feedback from 16 October to 10 December 2017. Thanks to all who submitted feedback on the draft strategy. All submissions were considered in preparing the final strategy and the NSW Government issued a response to submissions.